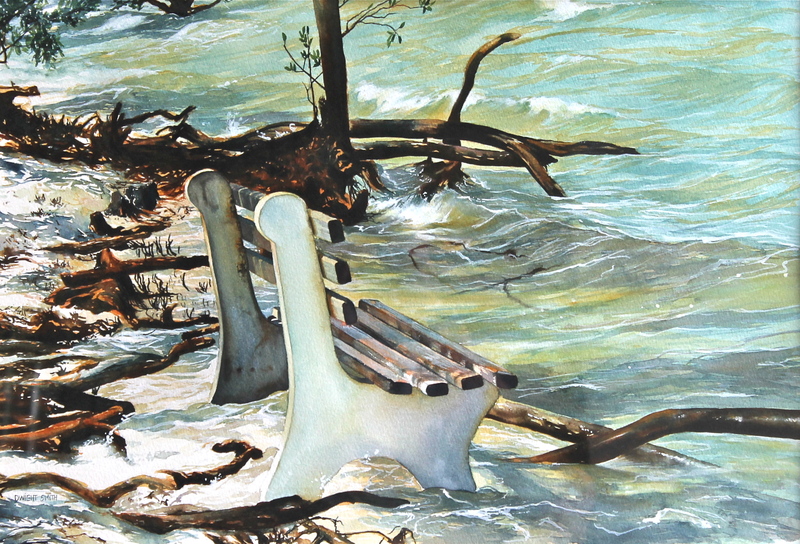 The location of this original watercolor is Desoto National Park. It is a beautiful location along the Gulf Coast. The park has benches placed along hiking trails to enjoy the views on water. This bench was being overtaken by the high tide. This was painted in the realist tradition in watercolors.